Royalty-free stock illustration of a young Asian boy superhero standing with confidence with his arms crossed over his chest. 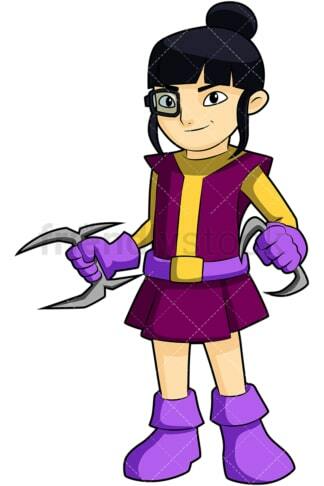 Royalty-free stock illustration of a young Asian girl superhero standing confidently with a subtle smile on her face, holding weapons. 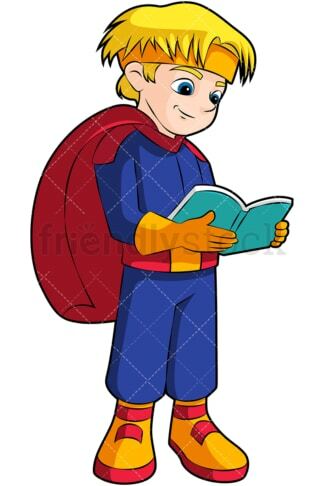 Royalty-free stock illustration of a young blond boy with blue eyes in a superhero costume with a cape, smiling, and enjoying reading a book. 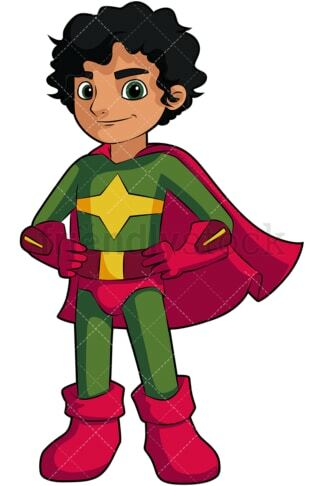 Royalty-free stock illustration of a confident young boy with dark hair wearing a superhero costume with a cape. Royalty-free stock illustration of a young girl with red hair in a superhero costume, smiling, and standing confidently. Royalty-free stock illustration of a little boy superhero in a flying pose – looking confident and smiling. Royalty-free stock illustration of a little girl in a superhero costume, smiling, looking confident. 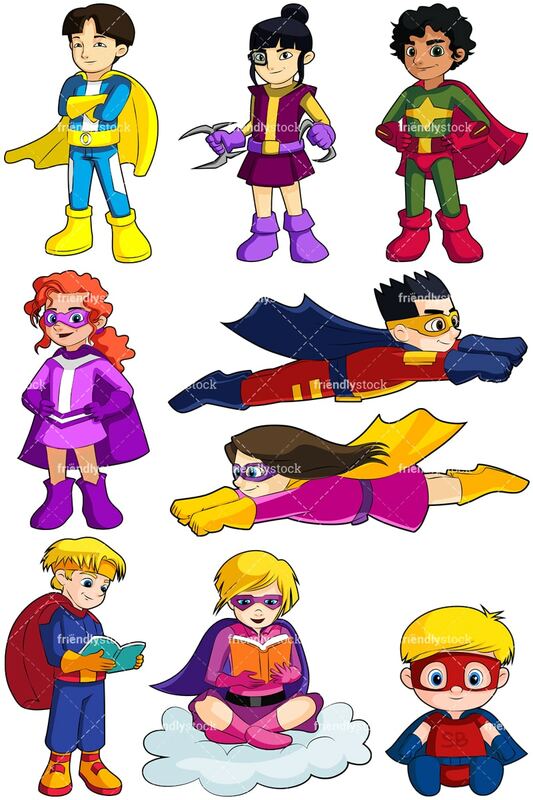 Royalty-free stock illustration of a cute baby with blond hair and blue eyes dressed as a superhero. Super baby!